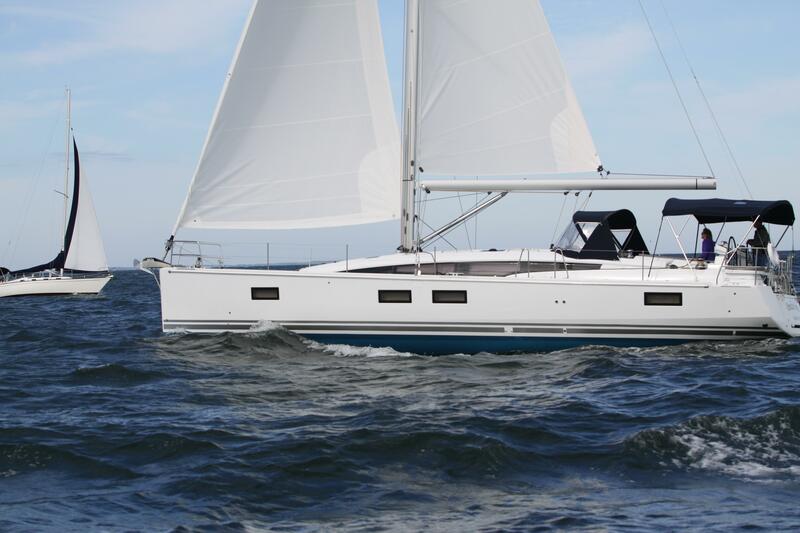 Pamlico Breeze is a turn key ready J51 Yacht. She is like new, fully loaded and ready to get back out on the water. She is well equipped with a Raymarine Electronics package, VHF at the nav station with Command Mic/Speaker in the cockpit, AIS/Radar, ICW Mast w/wifi extender built in, refrigerator located in cockpit with two more below and upgraded fixed 2-blade prop. The saloon area is beautifully decorated with grey leather upholstery on the settee and couch as well as accented in the VIP Cabin. A state of the art on-board DC powered Computer, TV/DVD, Washer/Dryer and freezer, The 110 hp Yanmar Turbo Diesel with extra fuel tank makes motoring at 9 knots a breeze. Lots more to see on this beauty so make an appointment to stop in and see her today!